My most wishful imaginings for things-not-possible do not include Brad Pitt or Toby McGuire or George Clooney or whoever the latest heartthrob is. Forget that. I want to ride well, and I want to know how it feels to ride well. I have often wished I could "sit inside" the top riders to learn what it feels like to ride correctly. Being a librarian, reading about riding is my best substitute--but most books on the topic are disappointing. Well, hooray! 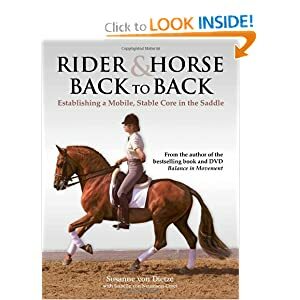 I think I found a book that will really help me: Rider and Horse, Back to Back. Their resumes are impressive. 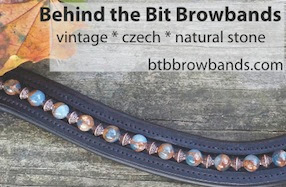 Read about author Suzanne Von Dietz on this web page, and try not to hold it against her that she looks good in those breeches. Co-author Isabelle Von Neumann-Cosel has also made her mark in the dressage world. This is the second book they've co-written, I think. I just got this book, and I'm pawing through the topics that I want to read first -- haven't read it all, but I can't wait to write about it. Illustrative photos and graphics are awesome! As someone who teaches and does instructional design, I can attest that how information is presented can mean the difference between getting it and not getting it. The authors have invested a lot in presenting their content so that we get it. I appreciate the thought and skill that went into every page -- the use of color, the way it is formatted, and the **awesome graphics/illustrations,** all these things took time and effort, and I bet it didn't come cheaply either. I think their goal was to create a lasting, authoritative work in the tradition of Sally Swift's Centered Riding. As I said, I haven't read it cover to cover but even as I "graze" the pages I'm finding it's all new information to me. I'll write more as I read it, but at under $30 it is a very good investment for any dressage rider or trainer. Looks very interesting. 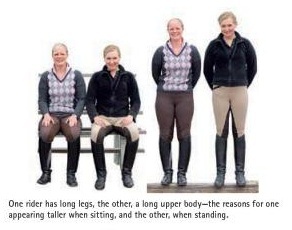 I know there is a lot to staying "with the horse" as you ride and learning to sit well is so important. I will look into this book myself. My sister just got this book and highly recommended it. I've added it to my wish list! Im definatly going to look for that book :) thanks for recommending it! I have read this book - it is excellent and I can certainly recommend it. Thanks for your review; I just purchased it from Amazon!